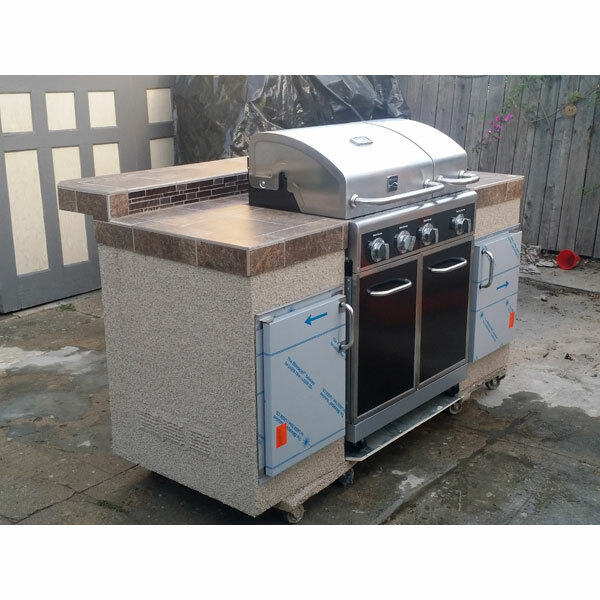 This custom 6ft island with raised bar for seating is the perfect fit for any backyard. 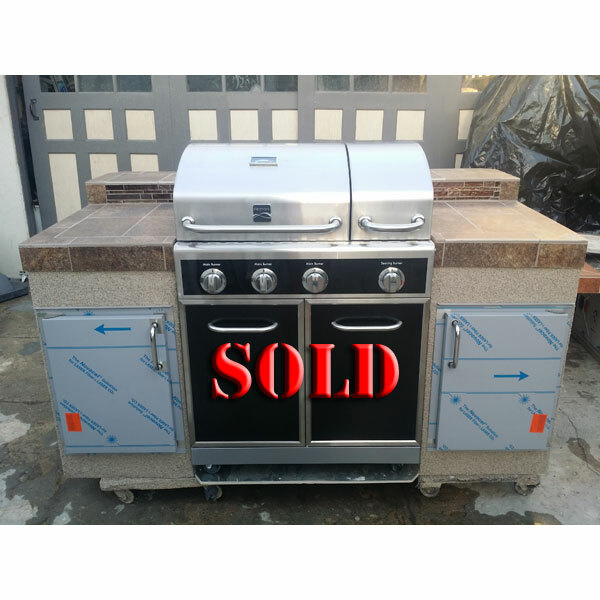 It was design to fit the Kenmore 4 burner grill (INCLUDED), but will truly fit any freestanding grill cart, once the side shelves are removed. The cart open is 33" (w) x 20" (d). 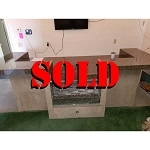 With a Freestanding cart island, you can now enjoy mingling with your guest as they sit at the raised bar drinking a cool beverage, while the grill master is charring meat on the grill. 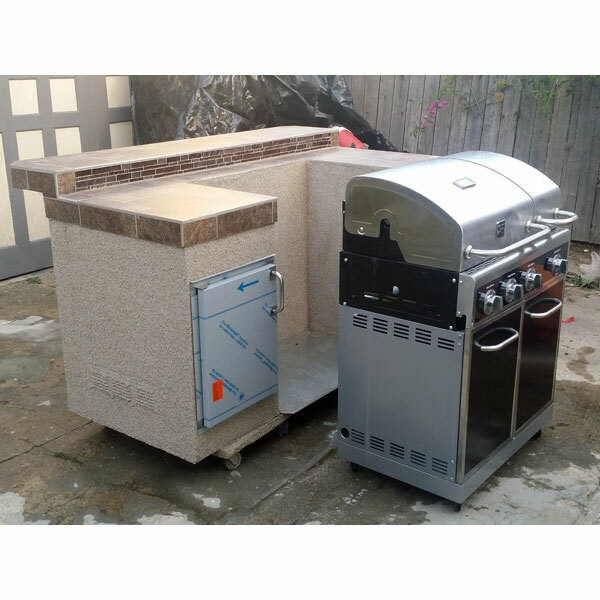 The island is tile with a brown granite ceramic tile, and a two-toned glass mosaic tile along the back-splash to complement any backyard. 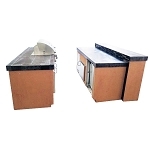 It comes with two single access door for additional island storage, but new orders can be custom designed for a fridge, drawer, or what ever will fit the space. *Free local delivery to L.A. & O.C. 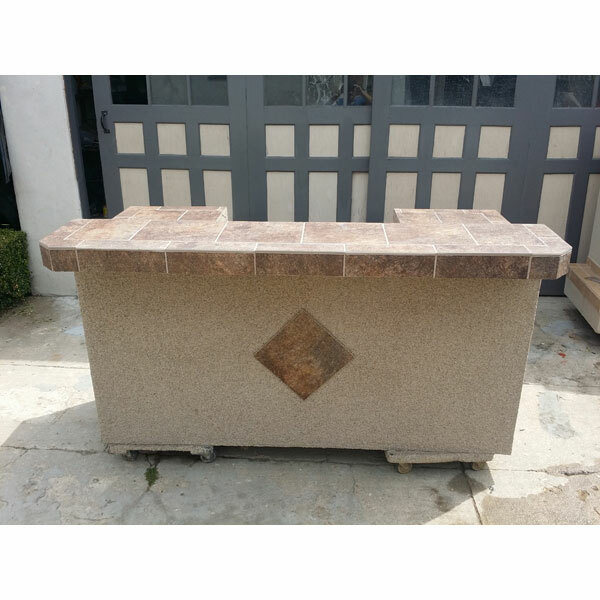 Outside L.A. & O.C., call for shipping quote. Sales tax not included in sale price. Copyright LA Custom Grill Islands. All Rights Reserved.